Even in these turbulent times marked by the financial and euro crisis, ContiTech AG, one of Continental AG's five divisions, has remained on course for success. The Hanover-based technology company generated sales of €3.6 billion in the past fiscal year, thereby posting a considerable increase of 16%. "We have thus once again broken the record for the best result in the company's history," announced Heinz-Gerhard Wente, head of Continental's ContiTech division and chairman of the ContiTech AG Executive Board on the occasion of the ContiTech press conference at the 2012 Hanover Trade Fair. The good company result also had a positive effect on the number of new employees: ContiTech hired around 1,400 new staff at locations around the world; 430 of these new jobs were in Germany alone. At its location at the Hannover Messe in hall 5, booth A16, spanning some 400 square meters, ContiTech will be featuring applications and innovative mobility concepts for urban transport. This is in response to increasing urbanization, which is making mobility a global mega issue. "We believe that ContiTech has a key role to play here," said Heinz-Gerhard Wente, emphasizing the significance of the leading issue dominating this year's trade fair appearance, "because as a development partner for transport systems ideal for urban use and a manufacturer of components for commercial vehicles and the automotive industry, we are working intensively on future-oriented mobility concepts that help improve the lives of inhabitants in megacities around the world." 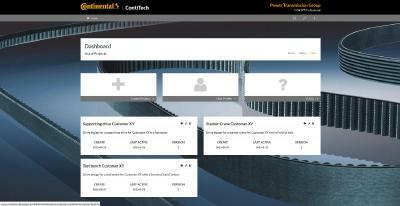 In the last fiscal year, ContiTech posted sales of approximately €3.6 billion. This equates to an increase of 16% against the previous year's figure of €3.1 billion. The operating result (EBIT) also improved, rising 13% from €370 million to €417 million. The return on sales reached 11.6%. EBIT adjusted for special effects increased by 12.4% from €397 million to €446 million, resulting in a return on sales based on this value of 12.5%. The positive sales figures are the result of good domestic and international business. 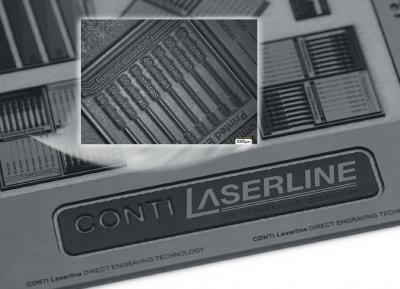 The main sales markets for ContiTech products remain Western Europe including Germany (62%). All business units worldwide saw significant growth. Compared with the 2010 fiscal year the share of the industrial and automotive replacement business inched up over the course of last year from 46% to 47%. The automotive original equipment business reached 53%. "We are continuing to pursue our growth targets in the industrial business, as we believe it comprises key markets for the immediate and more distant future," said Heinz-Gerhard Wente. The excellent sales also had a positive effect on the employee headcount, which rose from 25,850 in 2010 to 27,250 in 2011. 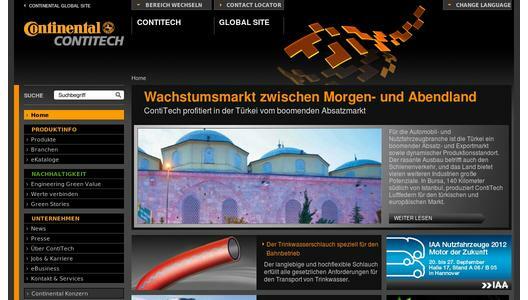 In key figures, ContiTech created 430 new jobs in Germany, 360 in Asia, 340 in America and 300 in Eastern Europe. Increasing numbers of people are living in big cities and in megacities boasting more than 10 million inhabitants, and increasing numbers of people are having to share increasingly scarce living space and, in particular, traffic space. It is therefore no coincidence that transport is by far the most important infrastructure challenge and a decisive factor determining the competitiveness of urban areas. Experts agree that the future of urban mobility will mean less individual and much more public and networked means of transport: Buses, commuter railways, underground railways, taxis, bicycles, trains and personal cars will complement each other on an increasing scale. For this reason, ContiTech is making the activities of the Air Spring Systems business unit in the mobility sector the focal point of this year's appearance at the Hannover Messe. A particular highlight will be presentation of a new urban means of transport equipped with products originating from the air spring specialists. Urban aerial ropeways can effectively reinforce transport systems because they are environmentally friendly, inexpensive to build and operate, unaffected by traffic congestion, require very little traffic space and can easily span obstacles such as wide rivers, road systems and settlements. China - the partner country for this year's Hannover Messe - has been one of ContiTech's international key markets for more than 30 years. Today, the company has ten locations in the country and employs more than 2,200 people. Nearly half of the total business in Asia is generated in this market, which boasts sales of €220 million. "We intend to pursue our growth course in this market," says Heinz-Gerhard Wente with confidence. By building centers of competence such as the Changshu plant, which opened in 2010, the technology company is strengthening its local service offering. 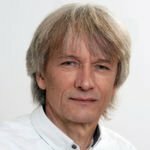 "We are relying on our Chinese management teams for this and are frequently on the look-out for new acquisition opportunities to further optimize our market access," Heinz-Gerhard Wente goes on to say. The medium-term aim of ContiTech in China is to double its current business volume.